Hey all - I'm working on the Doctor Who Time Expander and my optos have been acting up - particularly the ones on the left and right. After opening it up, I found this wire soldered between two opto receivers. I assume it didn't come from the factory like this but can anyone confirm for me? It's also hard for me to tell which optos are actually lighting even with my cell phone. Should I just go ahead and replace all of them? Probably should page pinball_faz on this one. Thanks in advance! You should be able to visually inspect the traces and figure out if those two are supposed to be connected. My guess is that they are. Dr. Who is such a pain to get apart to get those that I recommend replacing them all while you are in there. If it continues to fail you might want to check the wiring. They can get internal breaks and work in some positions but not others. Should be connected that way. But by a trace. Not a jumper wire. I think one leg of every reciever shares a trace. Try electrical tape on the ends to prevent any external light exposure, blacking out the area and cleaning the optos usually fixes a lot of problems. Even with the shroud, you will still need some sort of tape to seal the edges. Mine didn't until I taped the edges, and neither did the one I am rebuilding for a friend. No kidding? That is unusual - neither of the DW I’ve owned required that. I wonder if the optos had been replaced with more sensitive ones? I have owned 2 DR Who's and I had to re-solder all the Opto's legs to fix them. All the banging they get from the balls whacking them causes them to come loose from the solder that holds them in. Also when I have had to replace opto's on any pin 99% of the time it was the transmitters that were defective. I replaced all of the original optos and confirmed those were working. All we’re registering except the 5th - it was really flakey. 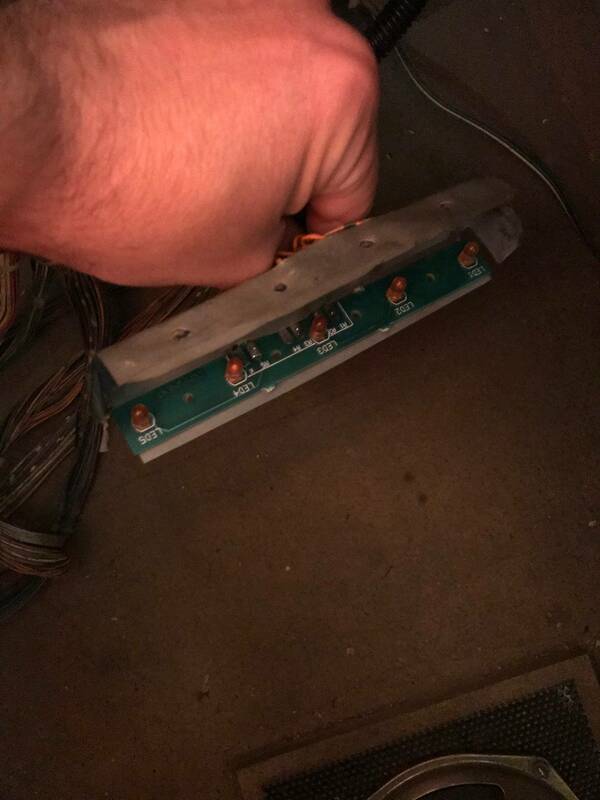 I confirmed it was due to the wire jumper because the solder pad was gone. If I held pressure on the solder joint with my finger, it was fine but as soon as I relieved pressure, it was flakey again. My solution was to order replacement boards from Marco. I installed both yesterday and now only two optos register in edge test mode - 1 and 2. I can get them all to register if I place the boards literally touching optos to receivers but as soon as I put them in the bracket holder, only the first two register consistently. Not to mention the new receivers are taller than the old ones and are interfering with the mushroom buttons. I’m kind of at a loss for where to go from here. I guess I’m trying to see if anyone else has had issues with the Marco boards. I should have just gone Great Lakes modular. Any other recommendations for an easy fix? If the receivers are interfering try reversing the 2 boards. Its possible they are flip flopped. I made sure it wasn’t that. The receivers on the Marco boards are definitely taller. By the way, the bottom of my opto bracket appears to be bent or tapered. Can anyone confirm this is normal? I contacted Great Plains Electronics last week to order the opto boards but I haven’t heard back. Anyone else been in touch? Just get a Dremel and grind the black optos down a bit. They will still work fine and you’ll have the clearance you need. Avoid the washers! Not to mention the new receivers are taller than the old ones and are interfering with the mushroom buttons. This device will square your bracket giving the buttons enough clearance to operate smoothly. Plus, it will eliminate light bleed. If you don't own a 3D printer, you can order a print through the site. That's what I did. Treatstock was printer I selected. Great quality and it cost me less than $10, including delivery. By the way, I'm in exactly the same boat as you. I ordered replacement optos from Marco (Gulf Pinball is the manufacturer). The output from the transmitters is so weak that I only get a response when they are literally touching the receivers. I'm still trying to work out if the issue is with the board or my terrible soldering skills. Have you been able to make any progress on your setup? The smallest amount of light getting in will cause problems for optos. I agree totally with dsuperbee and speak from experience regarding ensuring you tape the edges of the shroud. I’m happy to report that I received my original opto transmitter board back from Chris Hibler and popped it in yesterday. MPF is back in and all 5 optos are registering 100%! However, now that the game is back together, my Enter T.Ramp Opto #33 is no longer working. It came up in Test Report and sure enough, won’t rehister in edge test. It’s definitely plugged in and I resoldered the joints on the 10 opto board under the playfield. Is the next step replacing the Tx? I tried the opto kit too and found they did not work. Figured there was some compatibility issue. 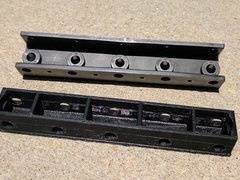 The real reason for the opto issues are due to the plastic holder being warped. This looks like it remedies the issue. Wondering if it was E-Z to remove the gray buttons from the old plastic to the new? Also anyone know where to find or print new gray plastic buttons? 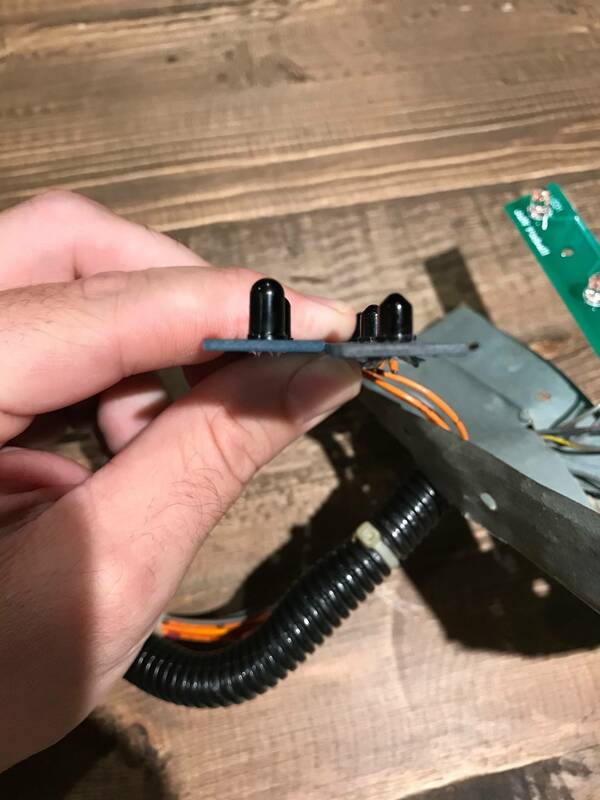 Quoted from unlockpinball:Also anyone know where to find or print new gray plastic buttons? Had the device 3D printed by my neighbor. He just copied the file and printed it. The part slides into the original bracket--E-Z. The only issue I have is with the part installed, now the opto boards pick up more space which causes the large metal housing that sits below the opto targets to not screw in perfectly. The 4 screws are not snug, but still hold the large metal housing in place. This is the metal housing that moves up after you hit the targets. Opto issues---Fixed. Wondering if it was E-Z to remove the gray buttons from the old plastic to the new? Just some e-clips holding them in place. You can remove them with needle-nose pliers. The biggest concern is ensuring you don't lose them. They're small and can fly pretty far! 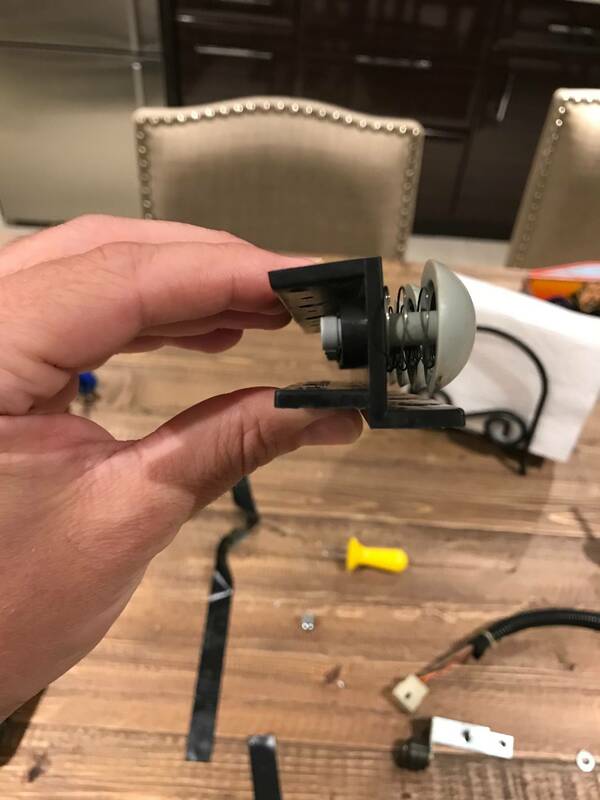 I ordered replacement optos from Marco (Gulf Pinball is the manufacturer). The output from the transmitters is so weak that I only get a response when they are literally touching the receivers. I'm still trying to work out if the issue is with the board or my terrible soldering skills. Have you been able to make any progress on your setup? My optos are working now, as well. I got in contact with Gulf Pinball and he sent me a new set that work perfectly. He said he got a batch of dud LEDs. 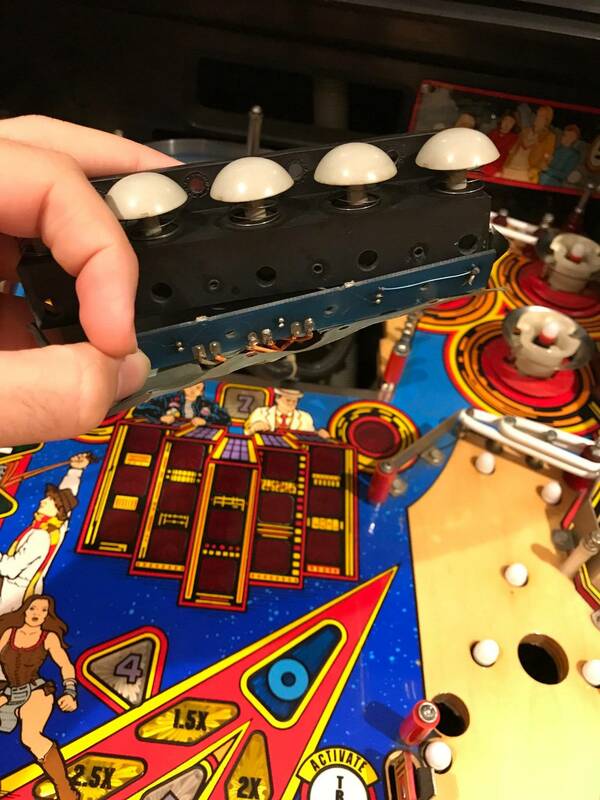 So, for anyone else having problems with their Gulf Pinball optos, PM me for his contact info.